Instructors in environmental journalism often find it useful to share ideas and resources, reading suggestions and examples of student projects. Listserve for SEJ Educators — SEJ operates the SEJ-edu e-mail listserv to serve as a forum for teachers and students to exchange information about teaching and learning environmental journalism. 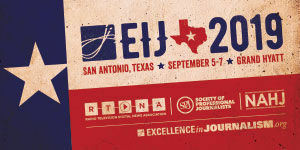 If you're an SEJ member, we welcome your participation. Go here for information on joining the listserv and accessing archives. The listserv is managed by Dave Poulson. 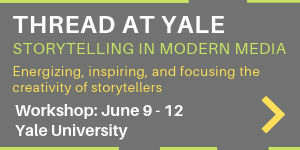 Reynolds Institute: a two-week journalism training program for high school teachers, from American Society of News Editors. ♦ 12 class lectures by Bill, part of his "ENVS 1 Intro to Environmental Studies" course (fall quarter, 2010). Note: Turn your volume up. SEJ's compilation of graduate education in environmental journalism, as well as scholarships for journalism education. 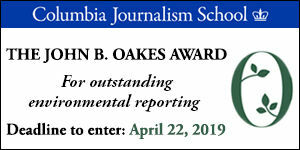 SEJ Emerging Environmental Journalist Award recognizes students with outstanding potential in environmental journalism. And the program offers members the chance to directly advance SEJ’s mission with university and college officials.